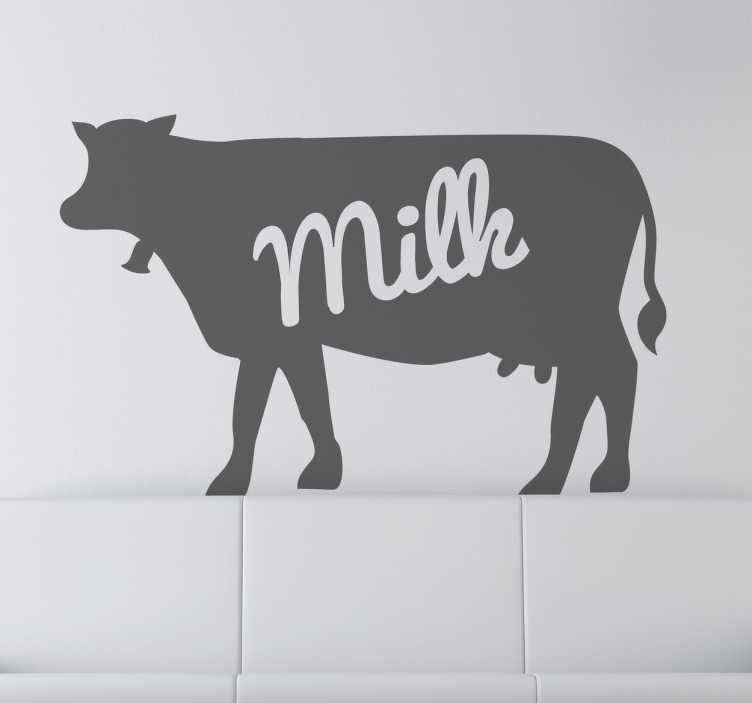 Decals - Silhouette illustration of a cow with the text "milk". Available in various sizes and in 50 colours. Made from high quality vinyl. Easy to apply and easily removable. Also suitable for windows.